Once Upon A Teen Reader: Where did you come up with the idea for THE GEEK'S GUIDE TO UNREQUITED LOVE? Sarvenaz Tash: A few days after I had sold my previous book THREE DAY SUMMER, I was walking home with my husband and ruminating on what I could possibly follow it up with. Somehow or another the subject of New York Comic Con came up and bam...I realized I had just found a setting I would love to write about as much as Woodstock. (Plus it had the correlation of also taking place over three days.) The voice of my main character came to me almost instantly after that. OUATR: You've incorporated geek pop-culture into this novel in such a huge way, why did you choose to add this element to your story? Do you have a favorite fandom/reference you added into the book? ST: I'm just a geek and I love other geeks...I feel like I get them. To me, it's all about passion, and I find the fact that people can get so excited about fictional worlds and characters--and also learn so much about the real world through them--to be incredibly appealing. My favorite fandom is Harry Potter and, yup, it is mentioned quite a bit in the book. 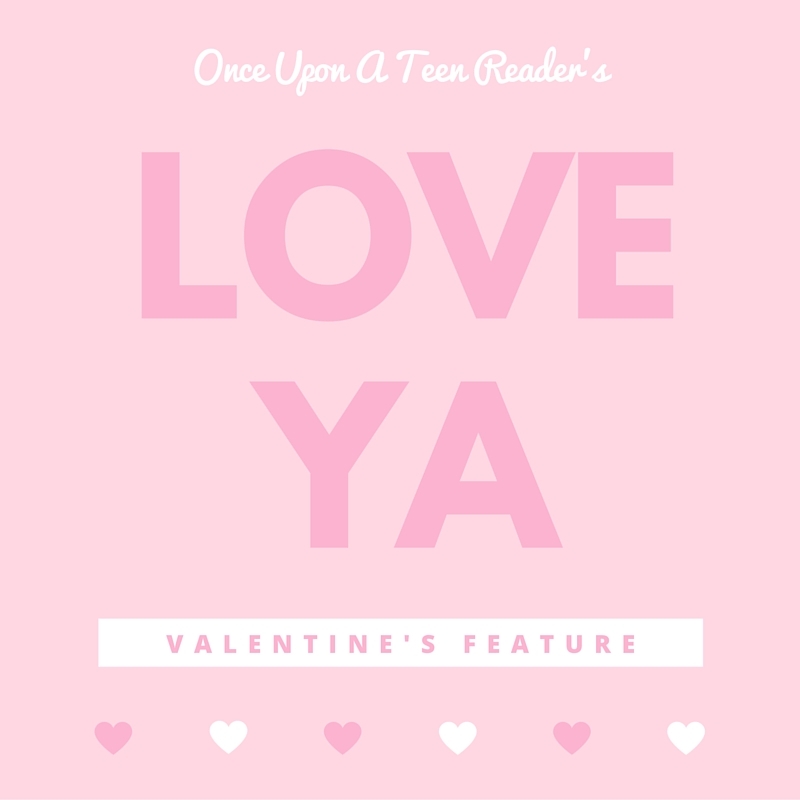 OUATR: This is your third book, and while your debut was actually a middle grade novel with paranormal elements your second (and most recent) was also a contemporary novel, although it was set in the 60's. This one is set (to my knowledge) in modern times, what was the reason for the difference in time periods? ST: Honestly, I just write what I love. I don't pay too much attention to genre. My first book I wrote because of all the Roald Dahl books I loved as a child. My second because I always wanted to go to Woodstock and that was the only way I knew how. This one came about because of my love of pop culture, John Hughes, and Comic Con and it just made sense to set it in the present. OUATR: You play off the classic trope of at least one best friend being secretly in love with the other. What do you think it is about that story-line that people find so enjoyable? ST: I think because it's pretty relatable. It's not hard to imagine that the person you spend the most time with, and learn to love as a friend, could one day elicit stronger feelings. OUATR: As the book goes on Graham starts to think fictional love stories are not nearly as complicated as real ones (which, let's be honest, is probably NOT the case, I mean really). Who would your two main characters, Graham and Roxy, pick as the best fictional couple? What about you? ST: They would definitely pick Charlie Noth and Althena--the sci-fi writer and shape-shifting alien that are the two main characters from their favorite comic series, The Chronicles of Althena. As for me, I'd have to go with a classic: Elizabeth Bennet and Mr. Darcy. 2. Do you have a favorite candy to eat/receive around Valentine's day? You can't go wrong with chocolate covered nuts in my opinion. 3. If you sent Valentine's day cards this year what theme would the be or who/what would they have on them? Well either Harry Potter or, if I'm being honest, my baby son who I take a million photos of a day and still can't get enough of! 4. 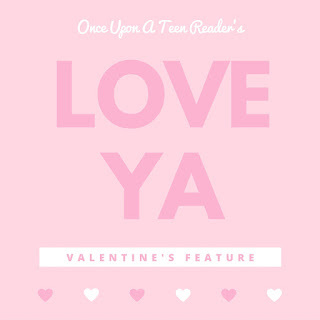 What adorable YA contemporary would you recommend / are you excited to read? I loved THE ART OF LAINEY by Paula Stokes (in fact I read it a few times while I was writing GEEK'S GUIDE for contemporary inspiration). It's romantic, laugh out loud funny and deep--the perfect combination. I also really enjoy Kasie West's books and am looking forward to her next one P.S. I LIKE YOU. 5. Do you have a favorite romance trope? (ie friends to lovers, opposites attract, strangers falling in love, ect. It doesn't have to be what you wrote either.) I think my favorite is wrong first impressions--you know where they go from hating each other to falling in love. I'm a sucker for witty banter and I feel like those generally facilitate some of the best. Peter Parker and Gwen Stacy...Archie and Veronica...Althena and Noth......Graham and Roxy? When Graham learns that the creator of their favorite comic, The Chronicles of Althena, is making a rare appearance at this year’s New York Comic Con, he knows he must score tickets. And the event inspires Graham to come up with the perfect plan to tell Roxy how he really feels about her. He’s got three days to woo his best friend at the coolest, kookiest con full of superheroes and supervillains. But no one at a comic book convention is who they appear to be...even Roxy. And Graham is starting to realize fictional love stories are way less complicated than real-life ones. Sarvenaz Tash was born in Tehran, Iran and grew up on Long Island, NY. She received her BFA in Film and Television from New York University's Tisch School of the Arts. This means she got to spend most of college running around and making movies (it was a lot of fun). 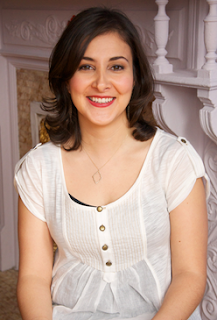 She has dabbled in all sorts of writing including screenwriting, copywriting, and professional tweeting. Sarvenaz currently lives in Brooklyn, NY. 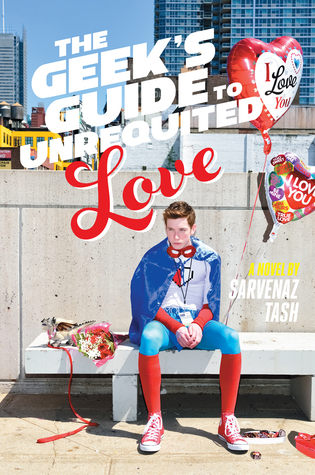 While THE GEEK'S GUIDE TO UNREQUITED LOVE isn't out until June, which is a LONG ways away, I know, Sarvenaz has kindly offered up a copy of her first YA contemporary THREE DAY SUMMER that will go to one lucky winner that will hopefully tide you over until then. I assume it will also be signed, so there's that too. All you have to do is enter the rafflecopter below! It was an interesting to know about the conception of the book but it's also unfair because it made me want to read it soon. Since I love HP and lot of geek things, it seems I will relate to many things in the book. I love that it's set in cómic con I mean how geeky is that? This is so different from anything I read and is sounds amazing!